Known for a tireless work, and hands on approach, Yoellie Iglesias emigrated from Puerto Rico with her family to Waterbury, Connecticut at the age of 18 years old. In 1999, Yoellie earned a Bachelor of Social Science, in Human Services from Springfield College, Massachusetts, and then successfully completed her Master's Degree of Science in Education from the University of Bridgeport in 2004. Family is Yoellie Iglesias' foundation, and she considers her greatest supporters in life to be her husband Angel L. Arzola and Angel Gregorio, their child. 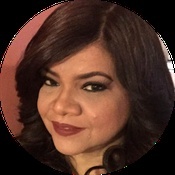 In 2011, Yoellie Iglesias founded Madre Latina Inc. A non-profit organization that educates connects and empowers Latina mothers in Connecticut. With tremendous support from her family and her sister Luanelly Iglesias, she has organized several events in the city of Waterbury, CT to reach the ultimate goal to connect and empower Latinas. Yoellie Iglesias is considered a "voice of the Latino community" in Waterbury, Connecticut. She has worked closely with many partners and has collaborated with private and non-private sectors to provide information to the community. She believes in the power of education, mentors many Latinas, and coaches them to lead successful lives by giving them the tools to take their own decisions. For the past 8 years, Yoellie along with the Members of the Board of Directors of Madre Latin America have started and directed multiple projects and programs, which have connected Latino families with necessary resources. The philosophy that guides Yoellie Iglesias's life is that "by helping a family they will become part of my family, who will protect and take care of my only son, Angel Gregorio. Yoellie has helped, supported, and mentored thousands of families in Connecticut, and has become a key part of their lives. Yoellie has been recognized for her work in many ways. In 2011, the Rivera Memorial Foundation recognized her for "Leadership." In 2012, she was awarded the "Woman of Action" award. In 2014, the Secretary of the State of Connecticut, Denis Merrill honored her for having developed "The Largest network of Latinas in Connecticut. " In 2015, CT Parent Power recognized her and her husband Angel Arzola, for "A Life of Service." In 2016, Yoellie was honored by the Latino de Oro for "Leadership and Advocacy in the Latino Community". In 2017, the Dominican Club selected her to receive the "Leadership Award". Among the many achievements, the greatest of them was to develop a network of collaborators in the city to support the Latino community. Lastly, Yoellie hosted a local radio show in the city of Waterbury for several years, and has had the opportunity to write as a "freelancer" for the Connecticut Post Global Newspaper for several years.